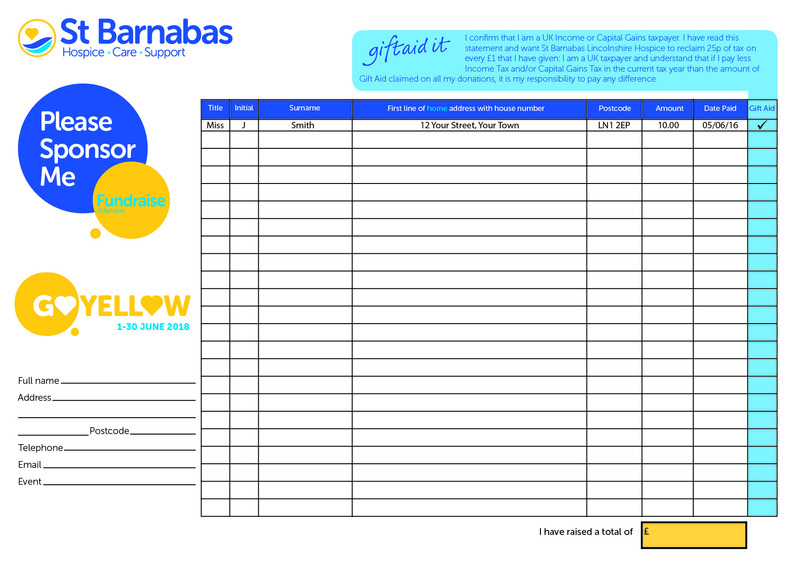 Go Yellow this June and do something amazing for local families! We rely on the support of our local community and local businesses to ensure that we can be there for more patients, their families and carers, every day of the year. In 2019, we’ll need your help more than ever, so we can care for the growing number of people who need our support. 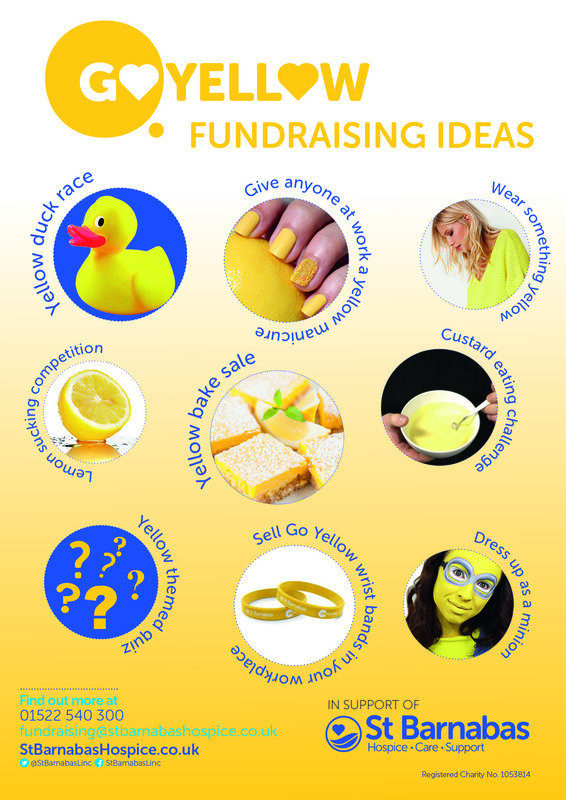 Go Yellow is a fun and easy way to get involved. 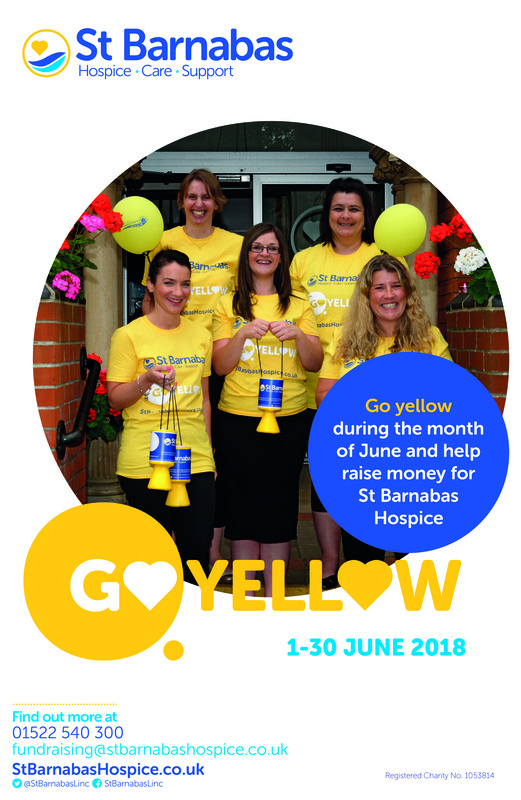 Pick any day in June and do something yellow as a way of showing your support for hospice care. It’s completely up to you how yellow you go – perhaps you could dress in yellow for the day, bathe in custard, hold a yellow party or host a yellow bake sale. 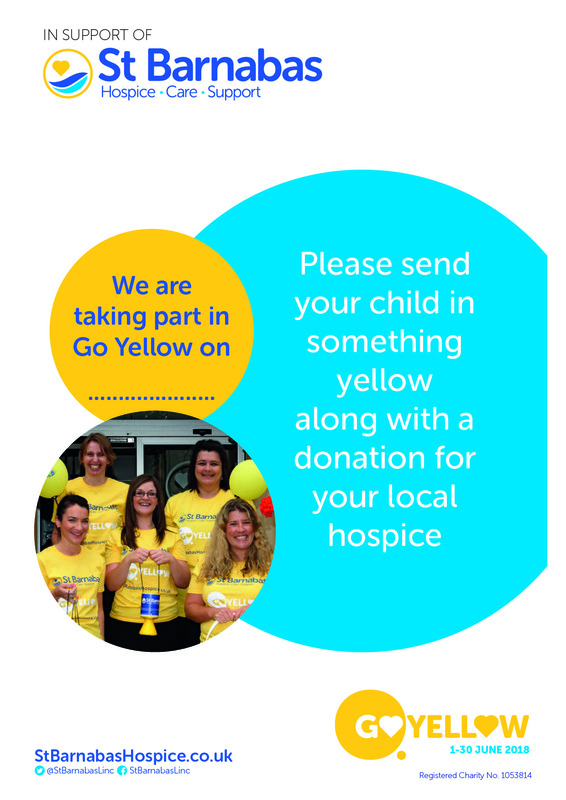 You can also show your support by wearing one of our Go Yellow wristbands, which we will be selling for £1. 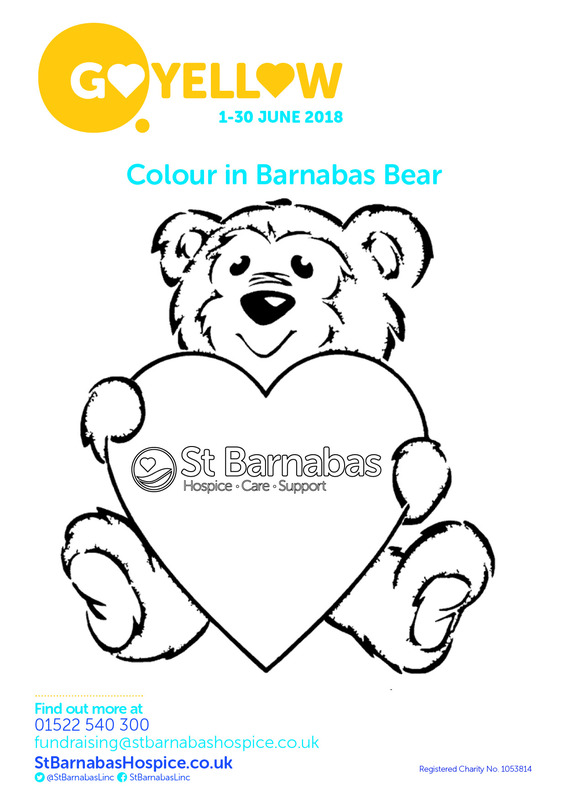 They can be purchased throughout June from any of the St Barnabas shops and hospice buildings. 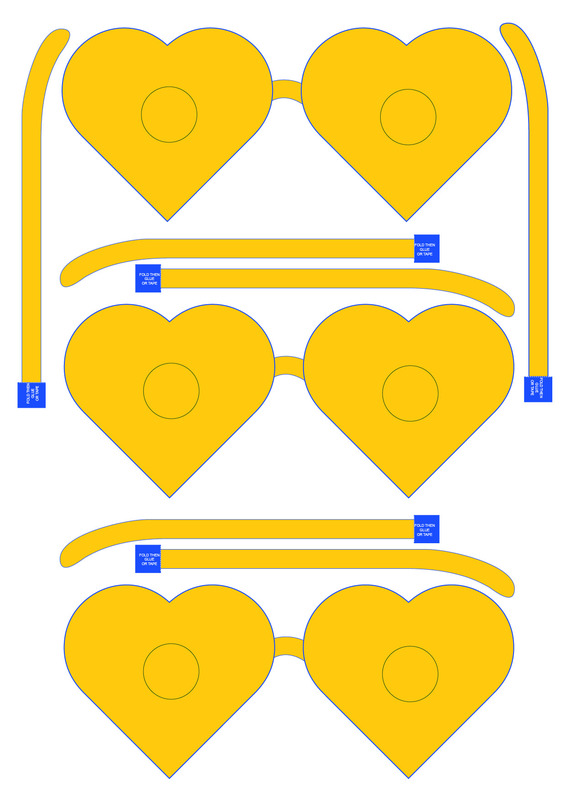 You can also Go Yellow on social media. Why not take a #yelfie? 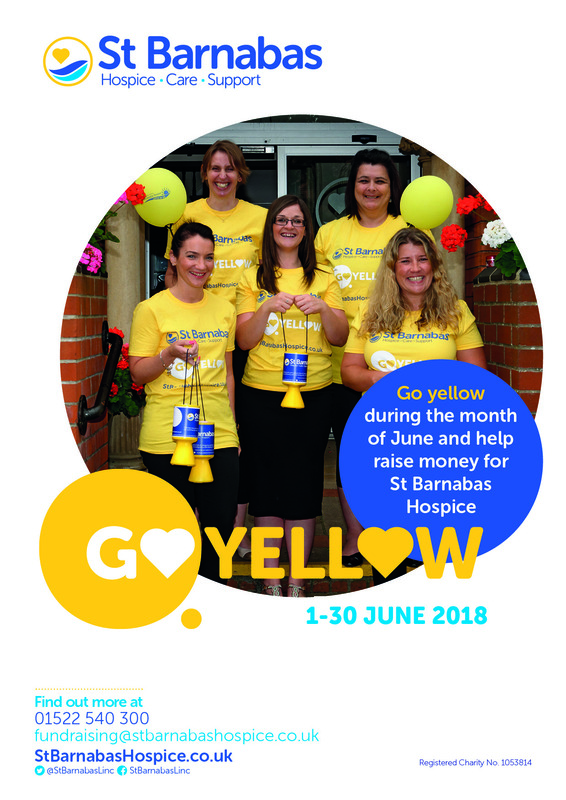 Take a picture of yourself wearing, holding or posing in front of something yellow, post it on Instagram, Facebook or Twitter tagging St Barnabas and using the hashtag #yelfie. 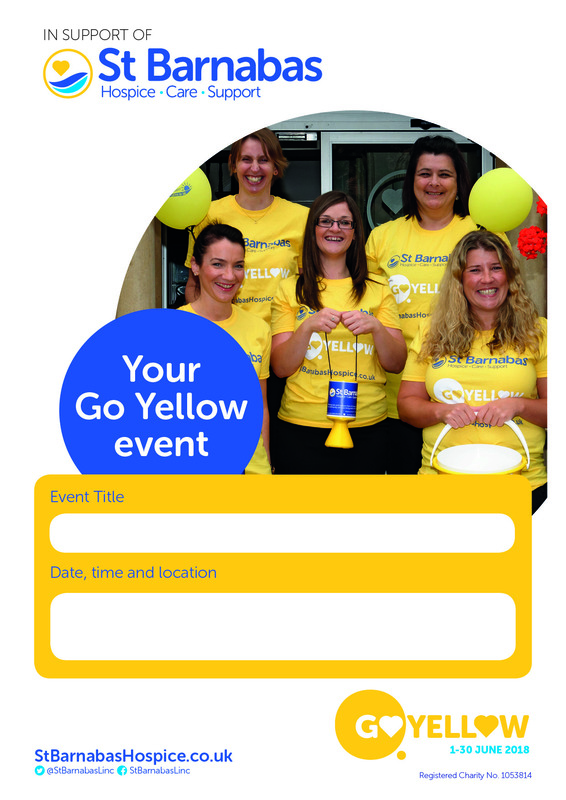 To help you along the way, you can download your FREE Go Yellow fundraising pack to help you make the most of your fundraising activity (below).